To date in 2018 properties have taken an average of two months to sell, (the period between them being first marketed and 'sold subject to contract') according to data produced by Rightmove. 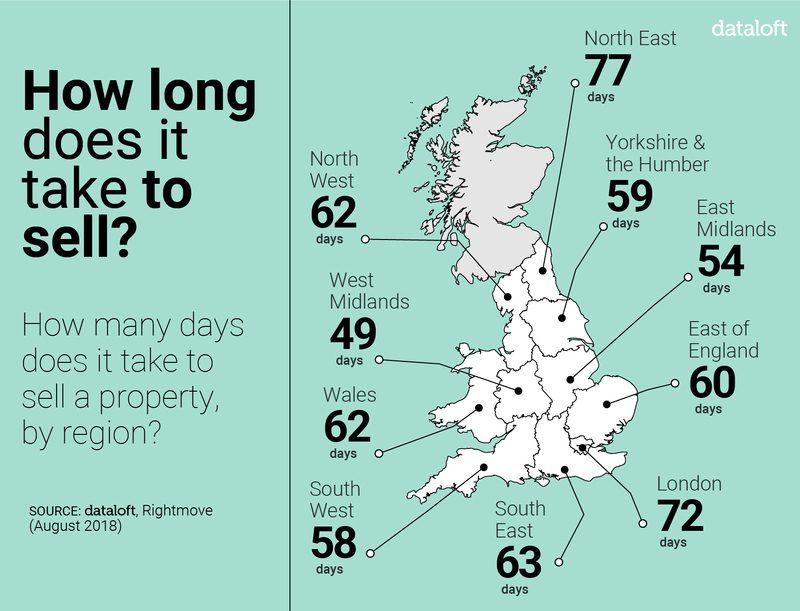 How long a property takes to sell is dependent on a whole range of factors - price, location, condition and time of year to name but a few, but despite challenging market conditions in many areas, nationally this figure is just one day longer than last year and is 10 days shorter than four years ago. There are of course regional differences, at present properties are selling STC quickest across the Midlands – 49 days in the West Midlands and 54 in the East Midlands, while properties across London and the North East are taking longer to achieve the same status.